For decades, Fo Guang Shan is dedicated to promoting healthy communities by organising sports tournaments worldwide. 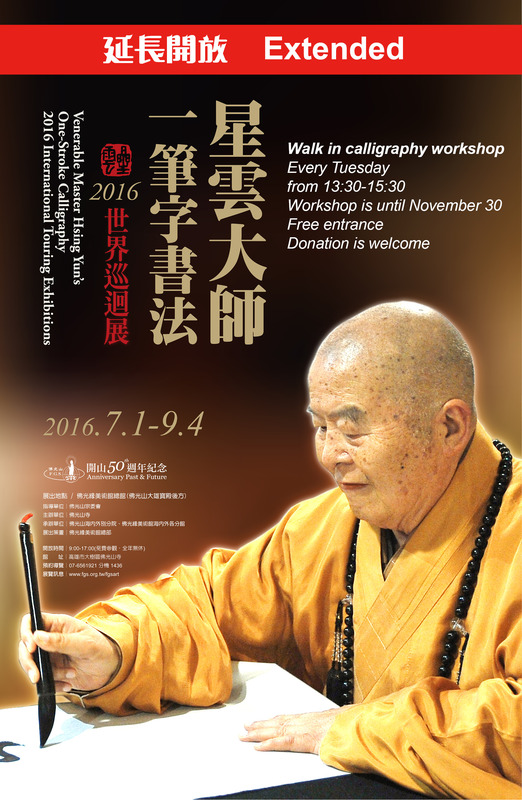 Master Hsing Yun, himself a sports enthusiast, believes in the value of integrating sports with Buddhism. He evokes interests in the religion by engaging people in fitness pursuits. “Three Acts of Goodness”: do good things, say good words, and think good thoughts -with the ultimate goal to instil good practices in our daily life. 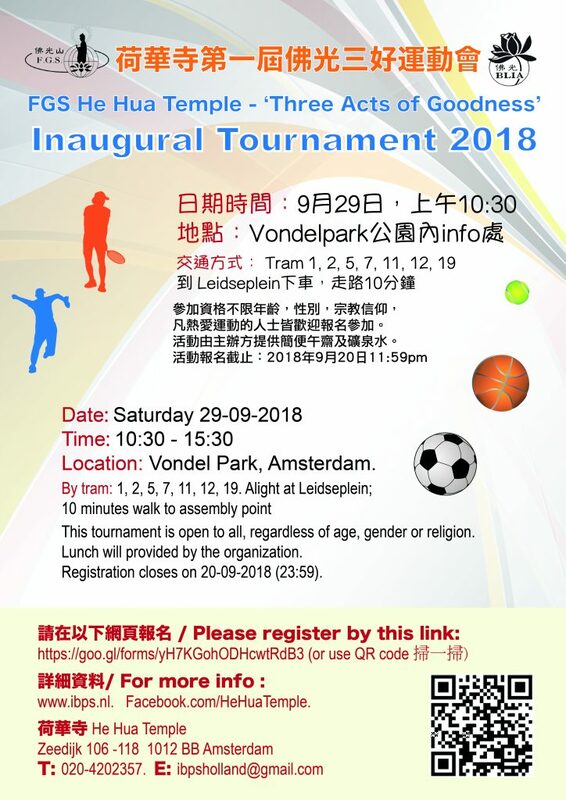 In line with FGS mission of enriching physical and spiritual wellbeing, He Hua Temple will hold its first-ever tournament on Saturday 29 September, 11:00 – 15:30 at Vondel Park, Amsterdam. With the emphasis on fun and participation, teams will compete in a series of team-building challenges: bean bag toss, hula hoops, 3-legged race, kangaroo jump, skipping, ping-pong transfer, wheelbarrow, ball relay, paper-step and so on. To ensure fairness, each team will comprise members from different age groups. Participants are welcome to take family members and friends along to compete in these highly collaborative games. Medals will be awarded to the 3 top performing teams. Come energise the summer with us. Together we shall create fun and laughter at Vondel Park. Light lunch and refreshments will be provided. • Assemble at 10:30 by Vondel Park information booth (see map in YELLOW). Our FGS representative will be at hand to provide guidance. 10 minutes walk to assembly point.